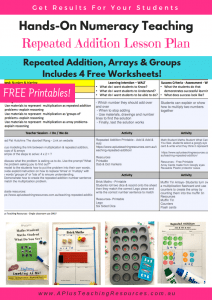 Home / Lesson Planner Kit / Multiplication As Repeated Addition Lesson Plan For FREE! 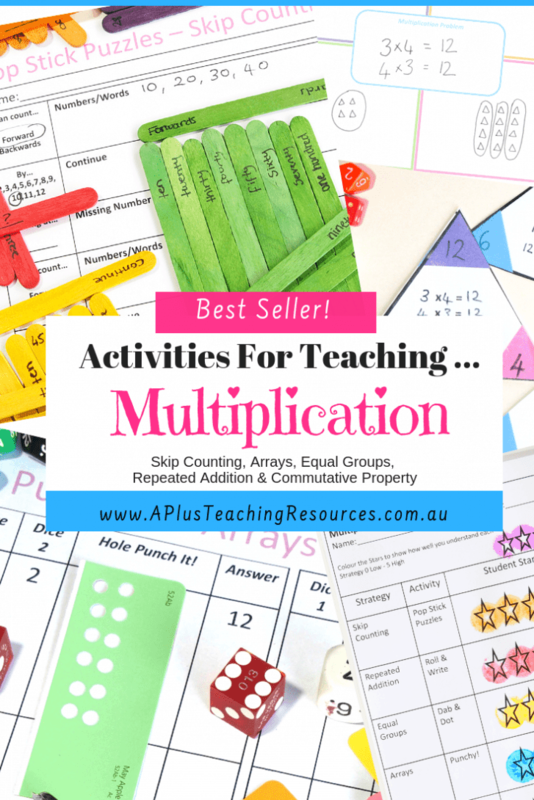 Our Multiplication As Repeated Addition Lesson Plan is an excellent FREE lesson plan. 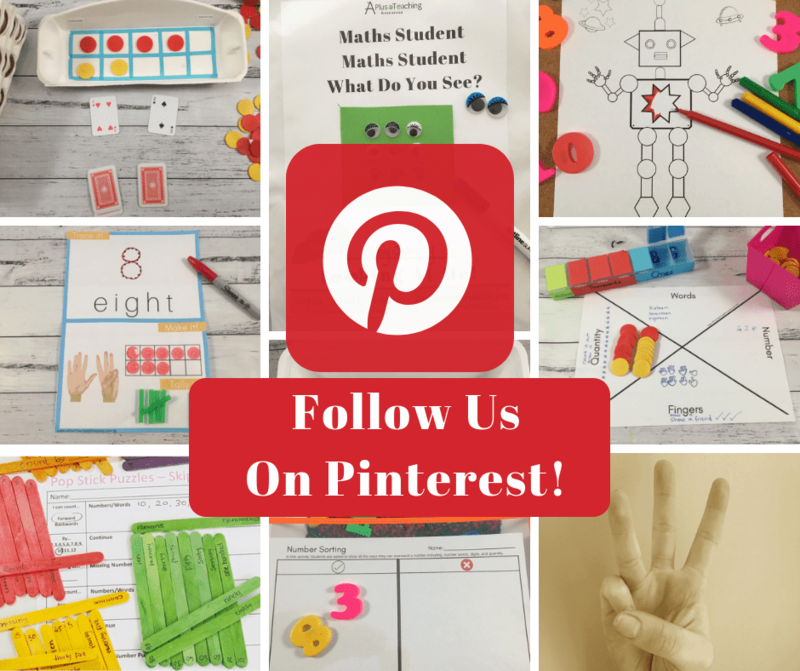 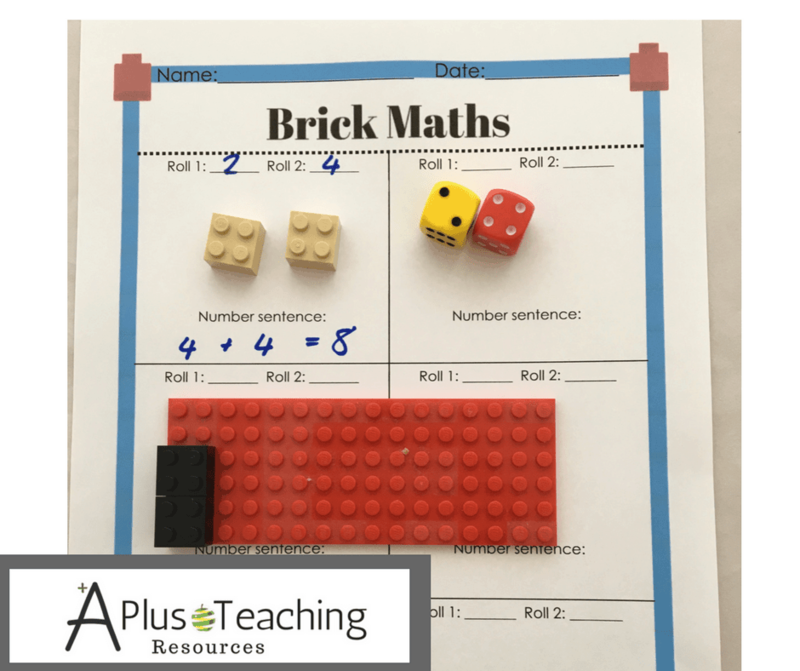 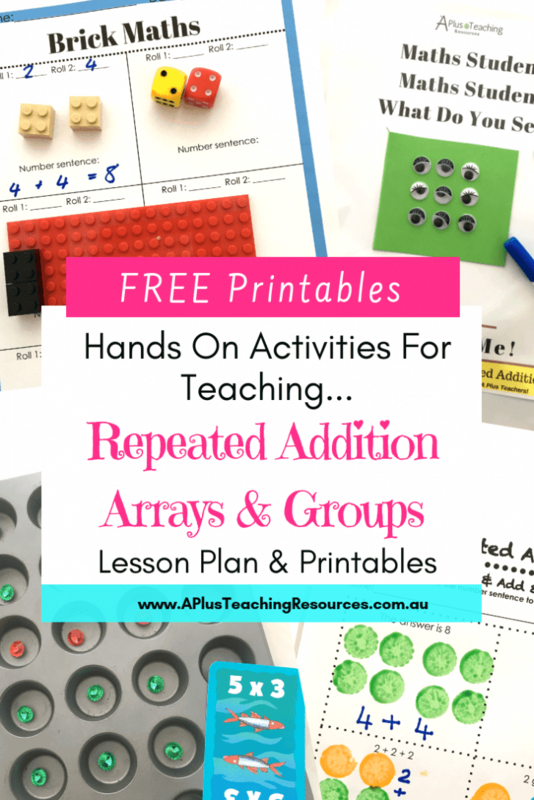 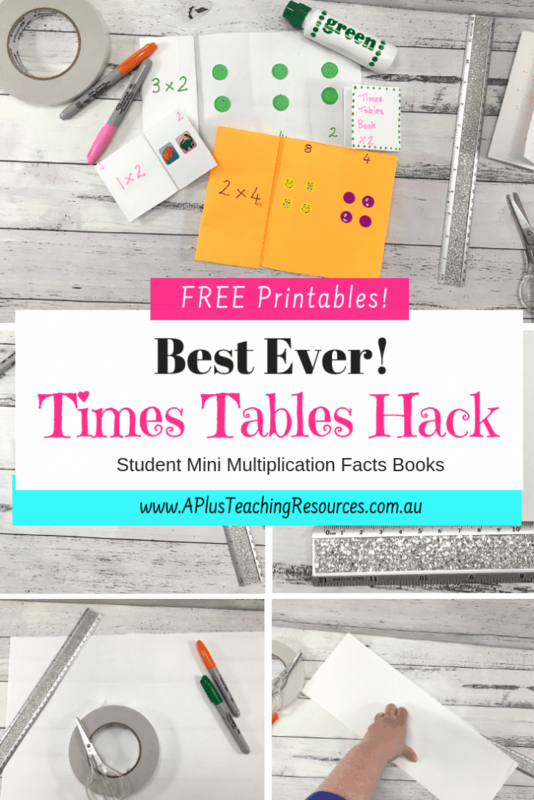 It also includes FREE Printables & hands-on activities for arrays, multiplication and repeated addition. 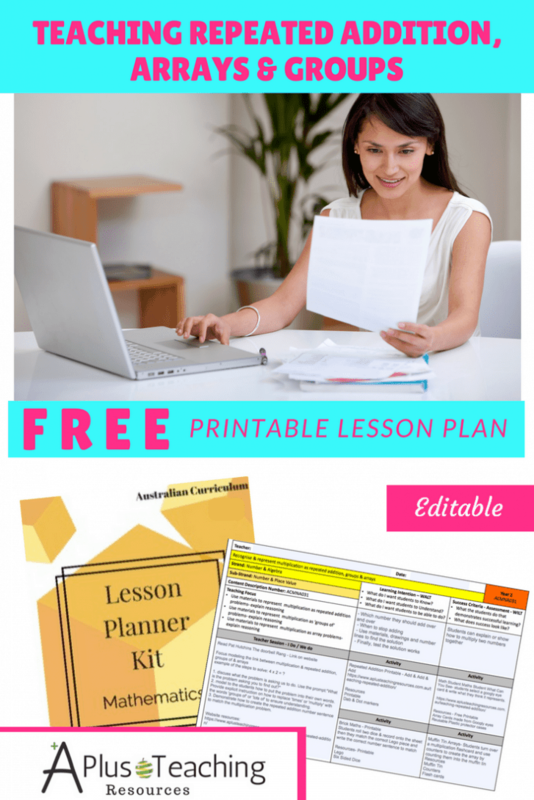 The editable Lesson Planning template lays everything out for you in a handy one page overview. 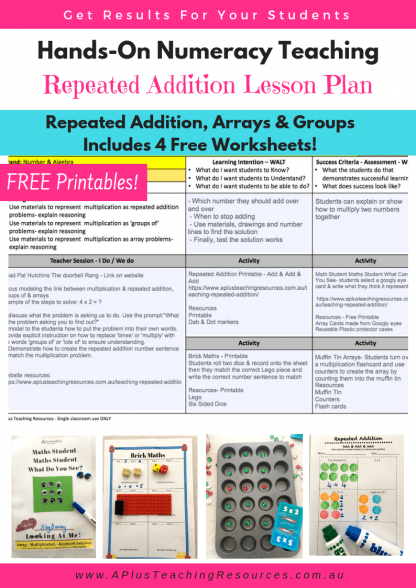 It includes details about what to teach and editable boxes for you to add your own lesson ideas. 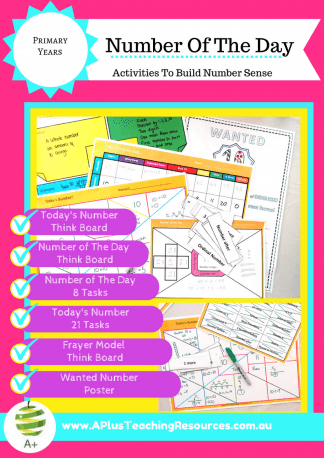 There are also four free activities to get you started. 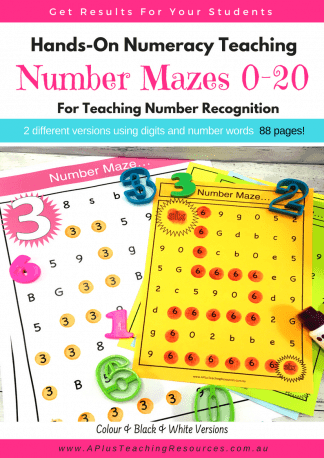 Suitable for K-Grade 2 students. 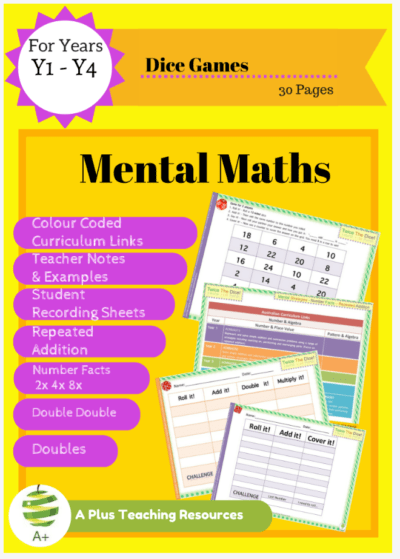 Digital Download – Secured PDF -Editable* (No copy, cut, paste, customising or extracting of the information in this document) *Editable on Laptops & PC. 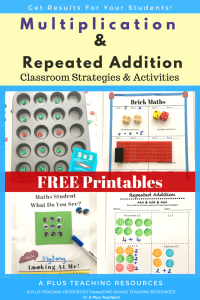 Read only on Tablets.